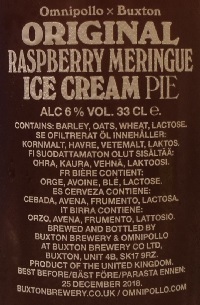 Brewer Description: (from website) Icecreamification of a raspberry meringue pie. Yeah, Really. Intro: A 330ml bottle with a best before date of 25th December 2018. Poured into a Lost Abbey teku glass. Appearance: A hazy purple red colour with a one finger pinkish head that dissipated fairly quickly while leaving only sparse lacing. Aroma: Vanilla ice cream, milk candy, sweet and lightly tart raspberry and more vanilla. 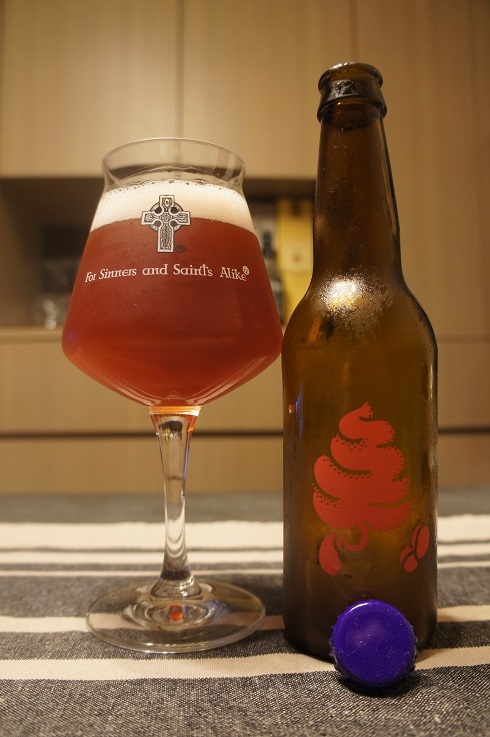 Taste: Lightly sweet, vanilla/milk ice cream with an overdose of tart raspberry sauce and a touch of citrusy acidic lemon. Overall: This is right up my alley. 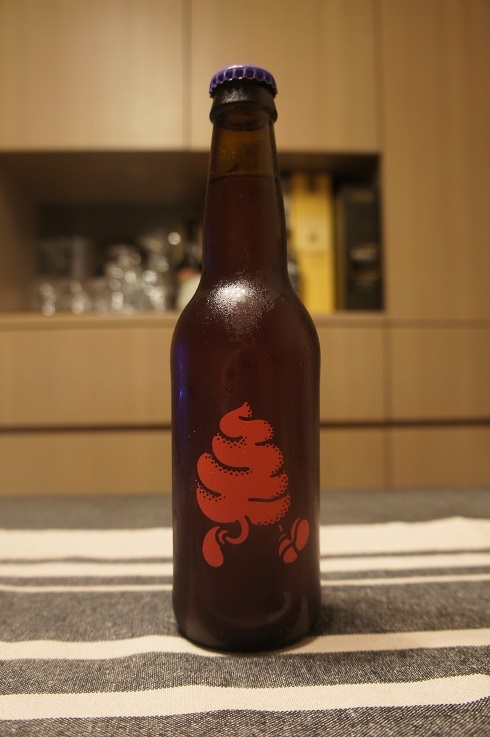 It’s got the aroma and taste that I enjoy and is just refreshing to my palate.